Smash your way through hordes of enemies for glory, power, and riches in this four player single-screen multiplayer game. Cooperation is key to survival, but in the end only one player will be crowned the victor. Master your weapons, master the power of the gemstones, and master your ultimate attacks. But beware, the rat king lurks below! 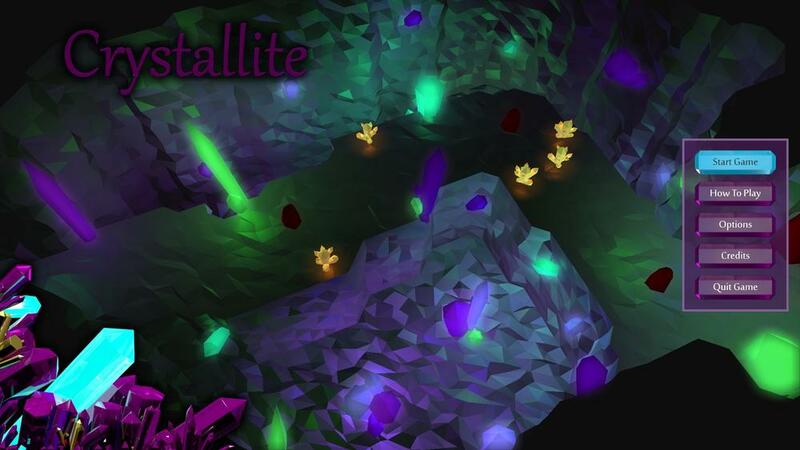 Crystallite was inspired by early couch co-op multiplayer games, a genre of game we all agreed wasn't getting a whole lot of love in recent years. To that end, we started with a very simple cooperative dungeon crawler, stripped it down to its core elements, and from there, we let our game evolve. Crystallite grew through experimentation, iteration, constant feedback, and more than one fortunate accident, until eventually we arrived at what you see here. Our art style was actually directed by the fact that we have no dedicated artists on our team, producing what we believe is one of the most successful displays of "programmer art" seen yet.